251 pages, Illustrated throughout in colour and black and white. 40 tables and 125 figures (27 in colour). This book explores male-female relationships in the societies of the North Alpine world. The analysis is based on a corpus of more than 1000 graves spread across north-eastern France, southern Germany, Switzerland, Austria and Bohemia. The treatment of this corpus is twofold: the first part is dedicated to cemeteries, and reveals the existence of a social hierarchy in the societies that established them; the second part focuses on the elite graves that became more numerous from the Late Bronze Age through the middle of second Iron Age. The study of these burials required the development of methodological tools for interpreting the corpus in terms of wealth and gender, in order to question the relationships between male and female. 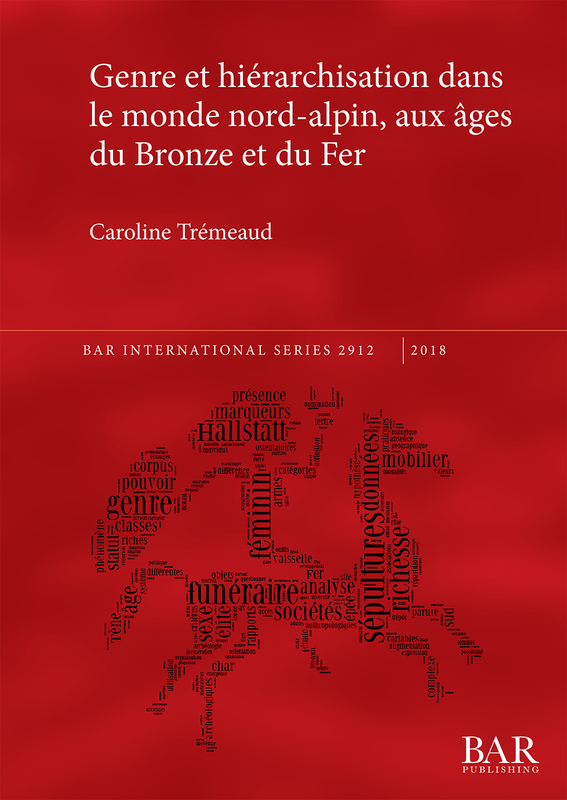 The resulting funerary data has been supplemented with ancient textual and iconographical data, and broadened through an examination of gender relations in contemporary neighbouring societies of the North Alpine world.These elements enable the author to shed light on the developments that affected male-female relationships, as well as to highlight important periods in the emergence of women and, finally, to come to interpretative hypotheses about the social structures of the North Alpine societies under study. Caroline Trémeaud est docteur de l’Université Paris 1 Panthéon-Sorbonne. Spécialiste de la Protohistoire européenne, elle a centré ses recherches sur la question de la question de la place des femmes dans les sociétés anciennes. Cette problématique initiale lui a permis de développer l’utilisation du concept de genre pour les données funéraires tout en travaillant sur les mécanismes de hiérarchisation des sociétés. Cette double perspective lui permet de renouveler l’image des rapports sociaux de sexes dans les sociétés protohistoriques. Caroline Trémeaud received her doctorate at the University of Paris 1 Pantheon-Sorbonne. She specialises in European protohistory, with a focus on the position of women in ancient societies. Her research examines the mechanisms of both gender and hierarchy, based on funerary data. This double perspective allows her to offer new interpretations of male-female relationships in Bronze and Iron Ages societies.